Chic Alert: Chanel Sunglasses Giveaway! The leading french designer Chanel has been known for many decades for its quality. And this is certainly true when it comes to sunglasses. 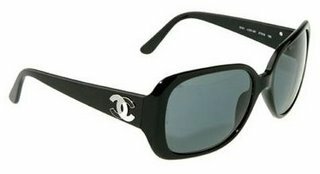 Chanel sunglasses are a true sign of elegance, distinction, and style. Now you too can impress with the outstanding luxury and sophistication of Chanel. Today, in the Handbag.com Christmas Gift Giveaway competition you have the chance to win these luxury designer sunglasses by Chanel valued at £145.